This will be a one day seminar on citizen preparedness and response should a major incident ever occur in Wahkiakum County. The class will be from 9AM to 4PM on Saturday, March 29, 2014. There is no cost for attendance. The doors will be open at 8:30 am for check-in. 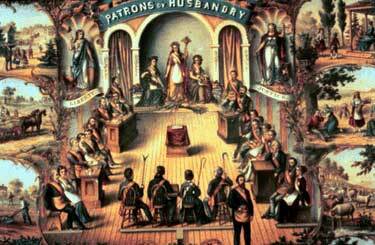 Tuesday March 25th, at 7:30, the Grays River Grange will be conducting The Exemplification of the 1st Degree. Come and see our kind and thoughtful Grange ways! Following will be a presentation regarding Wagyu cattle by Phil Zerr. Day-neutral strawberries with repeat flowering have long production seasons highly suitable to fresh market sales, allowing harvest of high-quality berries over a period spanning four to five months. These strawberries are often grown as an annual, and can be a profitable crop for specialty crop producers who are seeking to diversify further, as well as for dedicated strawberry growers. The value of fresh-market strawberries in Washington and Oregon increased 144% between 2000 and 2012, and producers and commodity groups are preparing for further growth, which is favored by strong consumer interest in local foods and health benefits of berry fruits. This publication introduces day-neutral strawberry production to commercial growers who are interested in exploiting the long season and fresh market capability of day-neutral strawberries. You can download a full copy for free here. An ecologically-healthy garden or landscape has a diverse fauna of insects, spiders, mites, centipedes, and harvestmen—each with a unique, and usually beneficial, role in keeping your backyard habitat healthy and function­ing efficiently. This colorful publication provides photographs and describes the life-cycle and beneficial activities of the “good guys” and “natural enemies” that inhabit garden landscapes in the PNW.